Here we are, officially two weeks into our 30 Day raw experiment and going strong. We’re both still feeling fabulous – lots of energy, not deprived, and continuously surprised at how doable this all feels. One of the things that has made this feasible for us – both busy with business commitments, a 15-month old, and no regular child care at the moment – is to keep it very, very simple. There are a lot of complicated raw recipes (most of which are vegan, incidentally) out there, and we haven’t felt the need for them. We’re keeping it to the basics and find that it’s not only delicious, it’s fast. 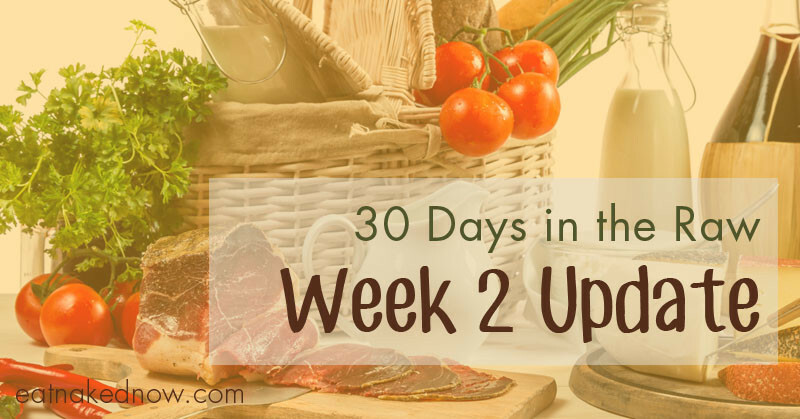 Both of us are noticing that our appetites have decreased significantly – we feel satisfied and energized by far less food. Chef James in particular used to need a lot of protein in order to feel satiated. Now that we’re eating our meat raw, our intake has decreased almost by half. There are some things we miss, however. I’m still jonesing for my weekly morning latte (for some reason it hits me Saturday mornings the hardest) and there’s just no way to reproduce it raw. Chef James – as a chef – really does love the greater variety of cooked foods. Also, as we get deeper into the season we’re both missing bone broth, and regardless of what we decide to incorporate from this experience into our post-experiment “normal” life, bone broth is definitely coming back in. I am also proud to report that we reached a new frontier this week by adding some raw liver to some of our smoothies and juices. Once we got over the ick factor (if it’s well blended you really can’t taste it, but you know that it’s there….) we absolutely LOVED the crazy energy boost it gave us. Who needs coffee?? All those amazing B vitamins so readily available for your body to use will wake you up in a hurry. How has your experience – as a participant or observer – been? I did the raw vegan diet for several months while undergoing alternative cancer therapy, but as fall came on up here in the NorthWET, I couldn’t keep warm on a raw vegan diet. 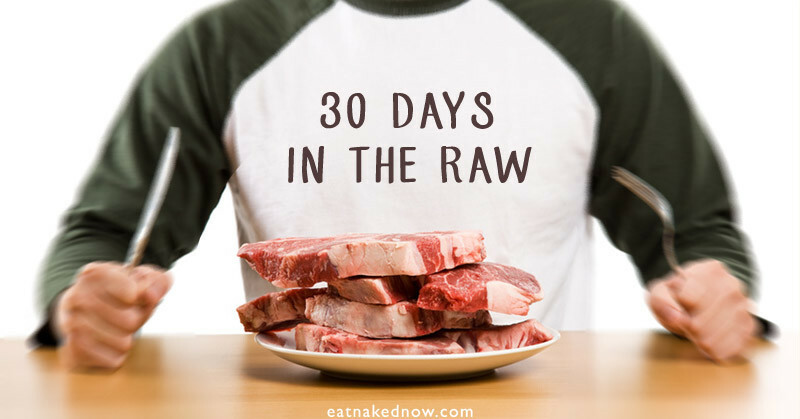 Of course, you live down there where it’s a lot warmer, but have you noticed if you are staying as warm as usual, with the addition of meat to your raw diet? @Rebecca – I’ve definitely not noticed myself being cold but that’s partly because it’s still really warm here in LA, and I would imagine partly due to the meat consumption. I have certainly craved warm drinks in the morning, but I think that’s more about ritual than anything else.